Our Albert whole-cut loafers are a sophisticated choice and will be a permanent feature of your footwear collection. Wear them to give your look instant polish. 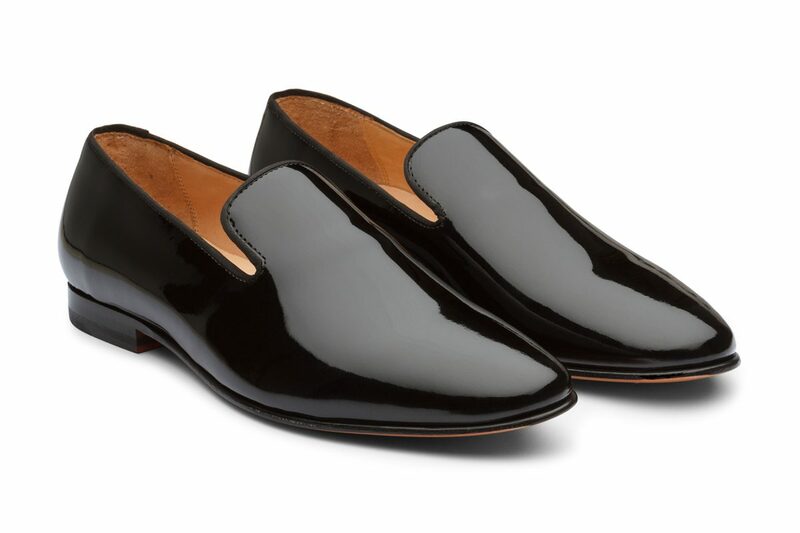 This classic pair is hand crafted from black patent leather and finished with a gros-grain piping. They come with Argentinian leather bends that have been Blake Stitched for durability and comfort. Time to bring out your inner dandy.